"The Old Method" from an article entitled "Maple Sugar Production"
Anyway, this week's maple recipes look so good. 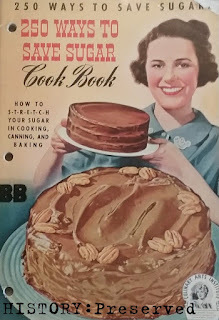 They come from the Alice Bradley Menu-Cook-Book from 1944. 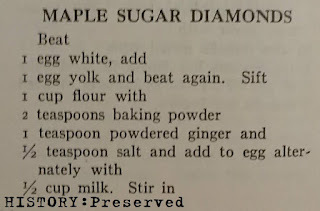 I want to try both of these - Maple Tapioca Cream and Maple Sugar Diamonds. 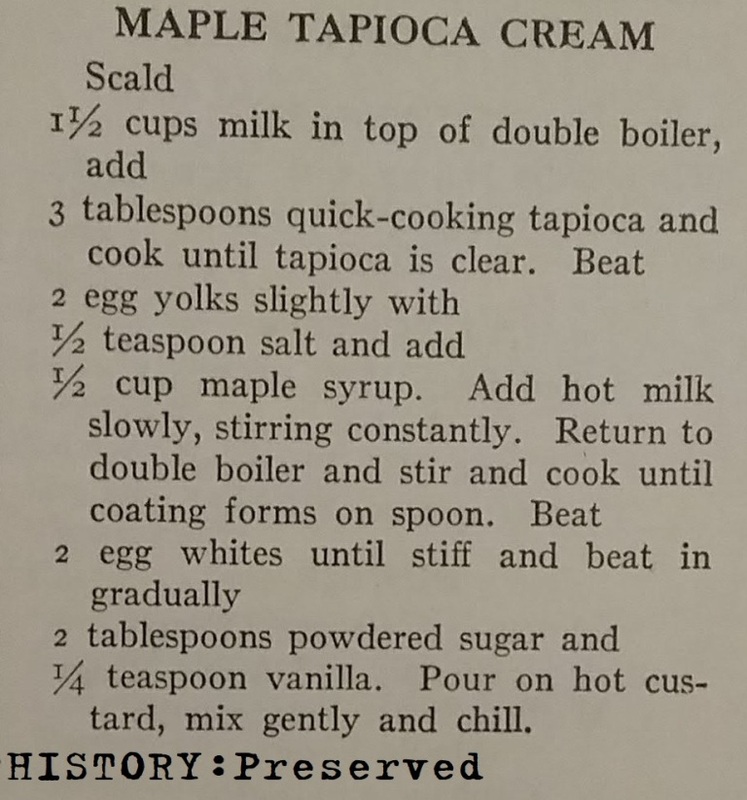 I love tapioca, and this recipe looks amazing. 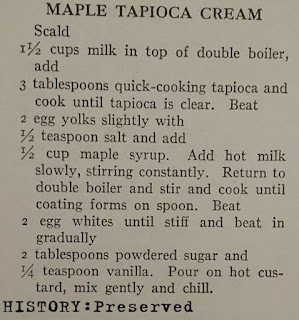 Since I'm used to rich, thick, creamy modern tapioca, I'm not a fan of the vintage tapioca with beaten egg whites mixed in. It's just a weird, fluffy texture. So, when I make it, I might just leave that out. 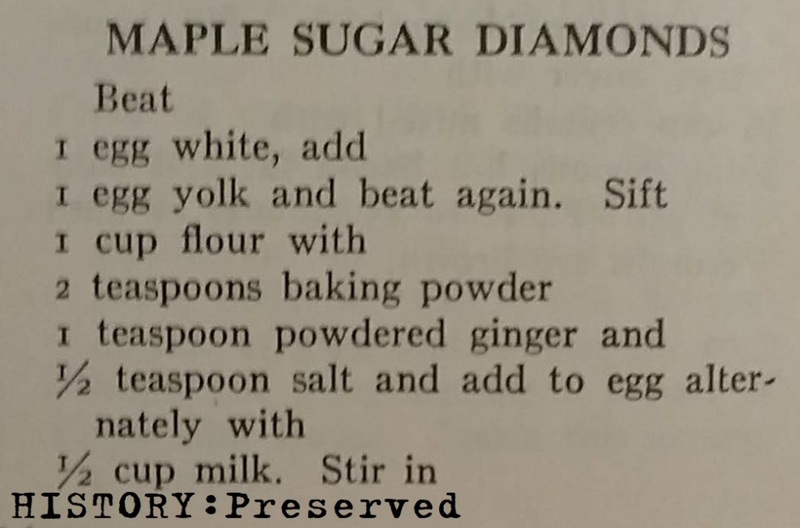 The Maple Sugar Diamonds look really intriguing, especially with the combination of ginger and maple. 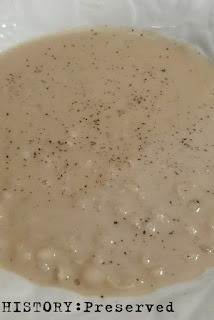 This recipe might be a good one to make with my kids. 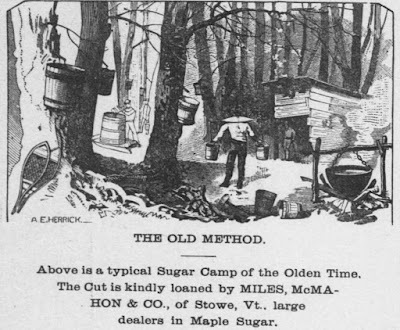 I bought some maple sugar, so I'm all set! 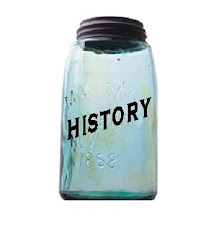 I'll post pictures when I get these made!